Amsterdam Drops is a new way of generating and storing electricity. Designed in response of the need for a more transparent, small-scale and bottom-up clean energy source for people to understand and connect with. 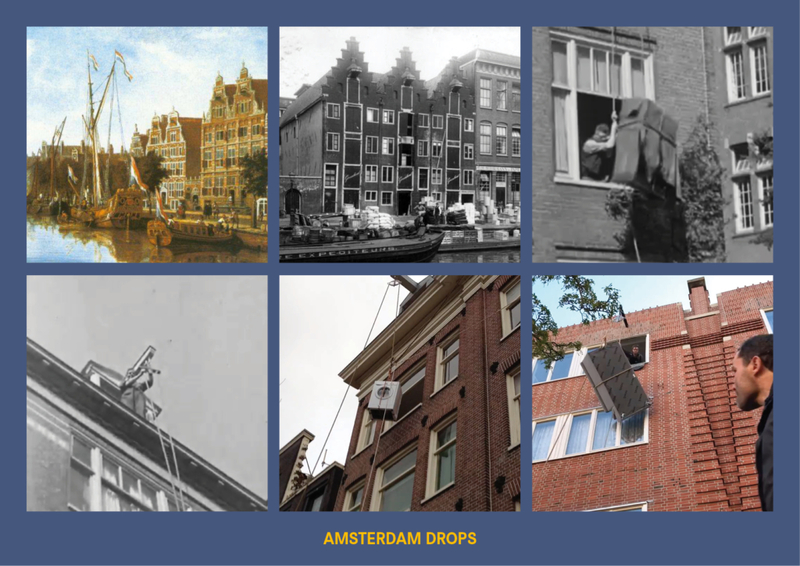 A solution with a more human approach instead of the anonymous, large-scale and top-down power grid as we know it today. 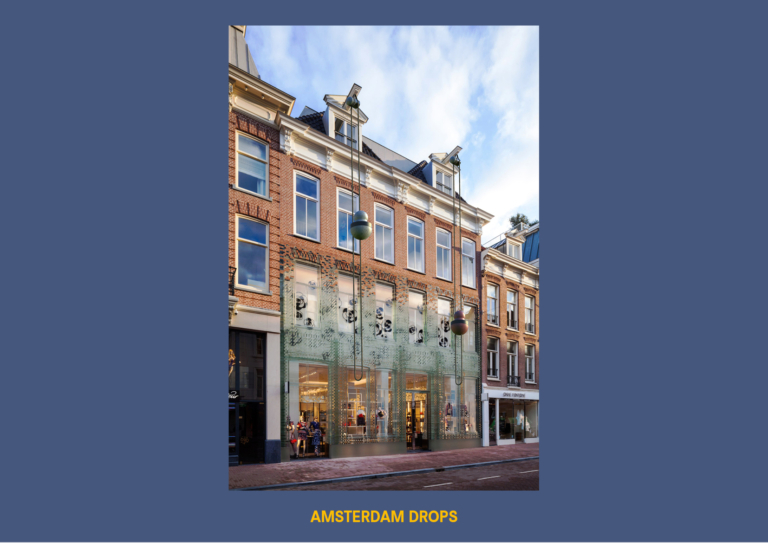 Applied in the historic city center of Amsterdam, it makes creative use of an existing and traditional architectural element: the so called ‘Hijsbalk’ or lifting beam. 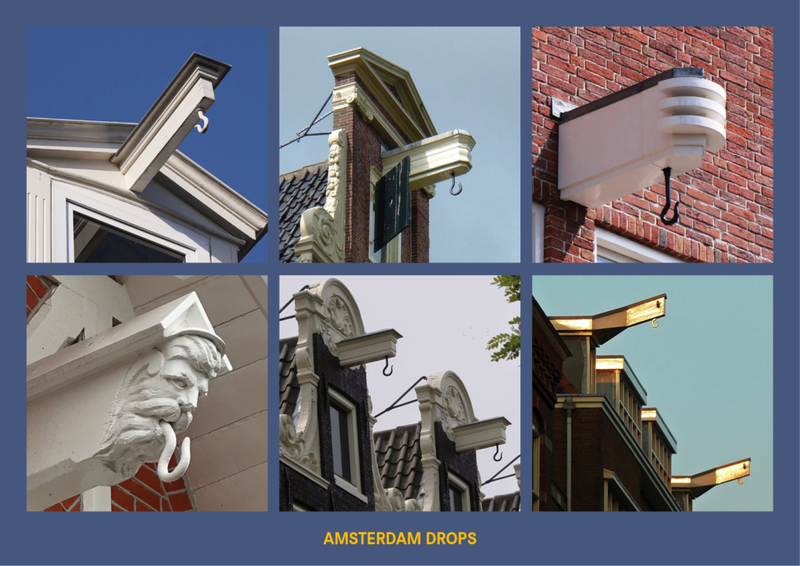 Attached to many houses in Amsterdam, originally used by merchants to lift goods upwards to the attics of canal houses. 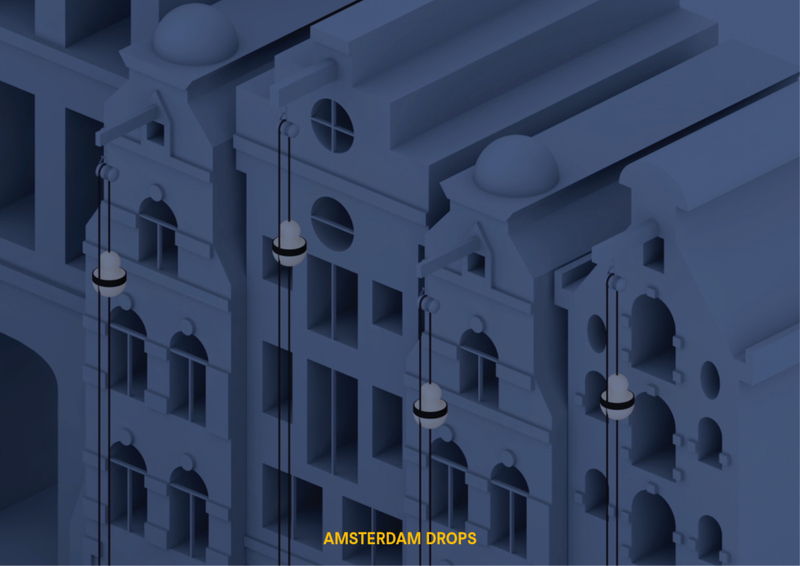 The Amsterdam Drops system is designed to lift and lower 500 kilos of recycled concrete, making it possible to transform gravity into electricity and saving it for later use – like a low-tech battery. What goes down must come up first. An efficient way to lift the weight up is by using the surplus of (solar and wind) energy produced outside the city which can activate a small electric motor lifting up the weight and thereby saving an amount of potential energy to provide households with light for a whole evening or letting the lampposts shine in the streets at night. 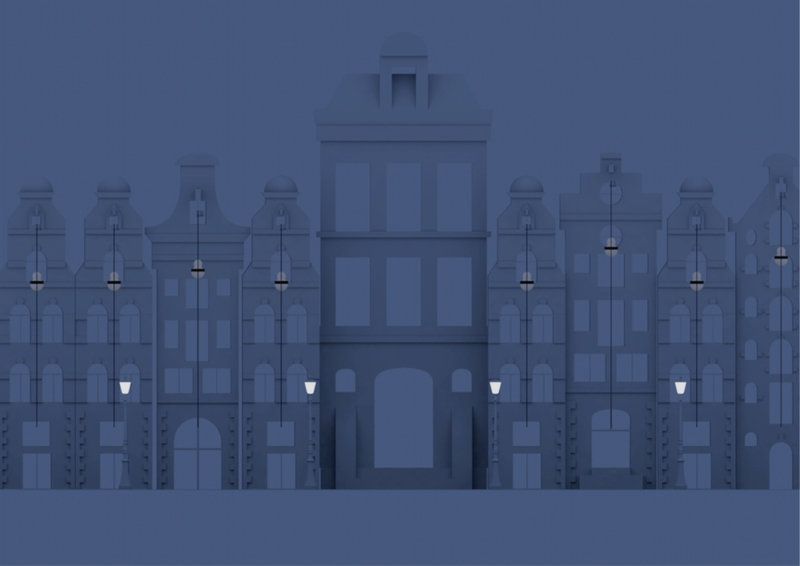 During a power blackout it can be manually operated providing the city a high degree of energy independence. Our national power grid is in desperate need of such electricity storage solutions, which can guarantee a balanced supply of energy at all time, saving oversupply until further demand.